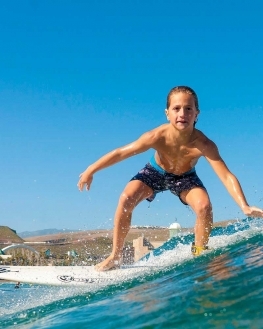 On the summer surf campus MOJOSURF BILLABONG we offer you the best offer of sports learning for your children. Ages between 5 and 16 years. Our goal is for your children to safely enjoy surfing, to learn and improve their technique, to have fun and to strengthen the values ​​of respect, companionship and surpassing. 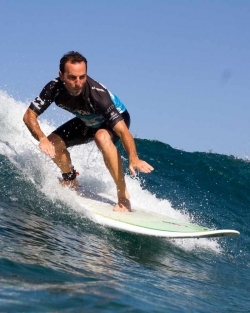 Activities run by the Eduardo Acosta Surfing Third champion and a large team of federated professionals and graduates as national level 1 and 2 surf coaches (for example, The Canaria Surf Federation and the Spanish Surf Federation). For us the safety of your children is the most important thing, that is why in addition to having a highly qualified team and the best materials for the safety of your children. Children, with us will learn to know the tides, currents and enjoy the sea without danger. As a BILLABONG school we have the best materials, Lycra with UV protection, summer wetsuits, soft surfboards for safety, bodyboards, surfskate, protections. Everything your children need to enjoy the sport in the safest way. We have a calendar full of sports activities for surfing, bodyboarding, paddle surfing, skateboarding, hand surfing, football and beach volleyball. We will also have great moments of fun playing with shovels, spades, freesbee or sand games. For the smallest we have teaching activities with crafts, workshops. 08:00 -08:30 h.: Reception at School. 10:30 -11:00 h.: Rest for the Picnic of La Garriga. 13:30 - 14:00 h.: Pick up at school. 14:00 - 15:15 h.: Dining Room (optional). 15:15 - 15:30 h.: Pick up at school. * The program of activities can vary according to age and climatic conditions. WEEK 0: 24, 25, 26, 27 and 28 of June. WEEK 7: 12, 13, 14, 15 and 16 of August. WEEK 8: 19, 20, 21, 22 and 23 of August. SEMANA 9: 26, 27, 28, 29 and 30 of August. 15% discount only to siblings. The discount does not apply to the dining room. Extra week, from the 5th Week. Diploma and personalized surfing poster. 2 t-shirts Campus Surf 2019. La Garriga sandwich, juice and water. Instructors federated and titled (FCS and FES). Transport to other beaches (La Laja) or other activities in bus. * The weekly food menu is closed directly by MOJOSURF. Check availability by contacting us by email campus@mojosurf.es or by calling 828 01 44 20 or 659 225 500 or directly at our surf school located at Peru Street No. 20 (La Cicer - Playa de Las Canteras). Once the availability of a seat has been confirmed, you must complete and sign the REGISTRATION FORM (click here to download in case it is not possible, you can make the registration by completing and signing the form and sending it through our email campus@mojosurf.es. To formalize the registration you must pay the amount of 50€ (Do not make the deposit without having previously done steps 1 and 2) as a reservation. The reservation priority will depend on the date of entry or transfer. The payment of the total amount must be paid 7 days before the start of the campus. Softboard or foam board. These boards for beginners are lots of fun and more safe for learning. Covered in Eva foam and made with softer and rounder foam fins making them less likely to cause accidental cuts. Soft boards are limited to use on the shore which makes it necessary for the surfer who wishes to have more serious training and enter waves and the breakwater to ask an instructor for a 100% epoxy board or one which is the same as used at the Intermediate skill level. Construction: Core of EPS (Expanded Polystyrene -100% sustainable and Styrofoam. Epoxy boards are built with two layers of fiberglass and epoxy resin to make them a bit harder. Soft Models: ALDER (7'0), INDIGO (7'0) and MADNEES (6'0, 6'6, 7'0). Soft-Epoxy Models: Flyer (7'0 y 7'6), NSP (6'8 y 7'4) and MADNEES (7'0). 100% epoxy board with clear coat and semi-rigid fin system. 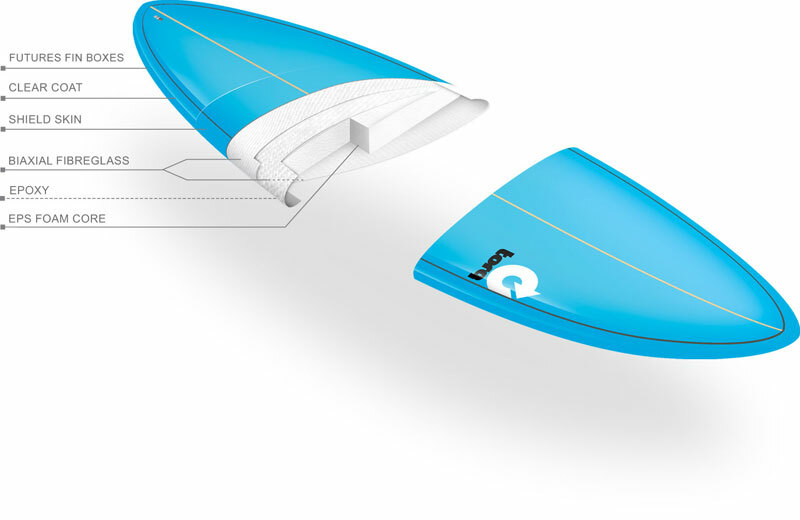 These boards are perfect for developing skills and getting into the waves. They are extremely buoyant and easily handled. Construction: Epoxy Technology (Epoxy fiber-glass resin- The core of the EPS). Epoxy models: TORQ MOD FUN - PINLINE (6'8, 7'2 y 7'6) and TORQMOD MINI LONG - PINLINE (8'0), NSP FUNBOARD (7'2, 7'6 y 7'10). ): Polyurethane Foam board with fiberglass and polyester resin. Rigid fin system. Perfect for developing skills at the intermediate-advanced and advenced level. Construction: Foam and Fiberglass (Polyester resin, fiberglass, polyurethane core) . Full & Cas Models: MINISIMMONS (5'3), I-TON (5'4), CPO (5'5), HECKE (5'5), RF3 (5'8), FISH (5'9), PANDFISH (5'10), HUOVO (6'1), Ripper (6'0, 6'2), CHS (6'2 y 6'4), COMBAT (6'3, 6'6), EVO (6'7 y 6'8), Malibu (7'0), Longboard L-noise rider (9'0). Tail shape: Round, Square, Swallo, Diamond . The Billabong Intruder Series, designed with simplicity and style, is constructed utilizing the most advanced materials and features the exclusive new 'Drymax' entry built for superior warmth and lightness. Drymax furnace lining has specially engineered irrigation channels that allow both multi-directional stretch and superior drainage from the chest to the knees and around the back. The air pockets within the channels also trap and retain body heat making it super warm. Stitches strategically placed in order to achieve maximum flexibility. Fewer stitches=more stretch. Internal neo tram superflex banding. More flexible. Glued and blind stitched to trap in heat. The Billabong Foil Series, the result of the combination of all essential elements. The most important parts of Billabong’s premium suits were taken-the cut, fflexibility and heat- and a suit was created which is light, functional, flexible and warm. Our line of suits for those beginning to surf meets the most rigorous and demanding tests of quality. These suits are light and provide good range and control of movement. This is the absolute ideal suit for surfers looking for more sensation and enjoyment from their surfing. New Furnace thermal lining recicling in chest and back area. Strategically positioned seams for maximum flexibility.